What Facebook Business Manager Permissions Will I Need? Here's a help video we made if you'd prefer to use it to help you get started. Note: You should always make sure that you are logged into the correct Facebook account that is admin on your Facebook Business Manager, Ad Account and Page before trying to connect with Shoelace. 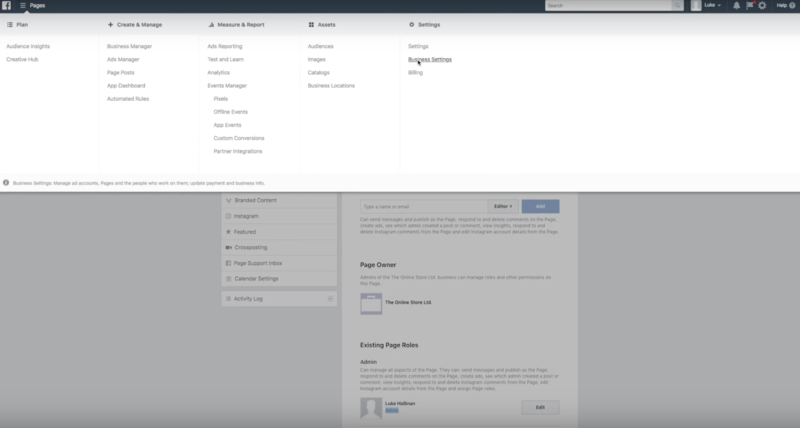 You will need to check whether you are an admin on the Facebook Business Manager that owns the Ad Account that you want to connect Shoelace to. You can check the permissions that you have on your Facebook Business Manager by navigating to your Facebook Business Manager Business Settings. You should look for your name in the "People" tab here and check that your role is admin. If you don't have admin permissions you should ask for them from the owner of your Business Manager account. You should also make sure you have the correct permissions for both your Facebook Page and Facebook Ad Account.